I'd like to tell you about one of our amazing students/ recent graduates. Lochlann Fanning has shown steely resolve to complete his undergraduate degree, overcoming challenges associated with an acquired brain injury caused by a horse accident at the age of 11. 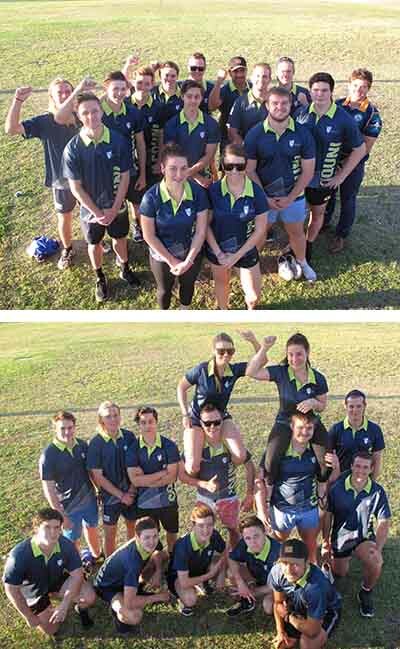 For the last few years, Lochlann has applied his strong work ethic at the Gracemere Saleyards, undertaking strenuous outdoor work, cleaning cattle yards and monitoring cattle numbers, as well as hitting the books to complete his Accounting studies. His acquired brain injury affects his mobility and also means it takes him a little more time to process information. 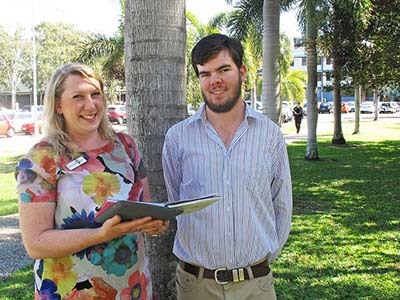 Lochlann was still determined to achieve his long-term goal of a 'white collar' career path so he enrolled in a Bachelor of Accounting degree at CQUniversity. Along the journey to his recent graduation, support and guidance from the Uni's Inclusion and Accessibility team assisted Lochlann with meeting his course requirements. Lochlann also said that he was grateful that CQUniversity recognised his strengths and supported him to graduate with his degree. This week is Disability Action Week which is why I wanted to share with you this remarkable story. If Lochlann's story doesn't inspire action then i'm not sure what will. I'm regularly inspired by our students and Lochlann's journey has really captured my imagination. Congratulations on completing your studies Lochlann, you should be very, very proud. Unfortunately for much of the past week or so we’ve been confronted with shocking images of Syrian refugees fleeing war and attempting to find safety in Europe. Not since World War II have there been so many displaced foreigners seeking refuge in Europe. To me this is an absolutely sobering situation. The events of the past week aren’t just a new thing though. The situation in Syria has been dire for some time now with countless innocents experiencing atrocities we couldn’t even begin to imagine. For many of us going about our daily lives in such a carefree and safe country, it is easy to turn a blind eye and distance ourselves from the situation. It wasn’t until last week when the horrific imagine of the little boy who drowned along with his brother and mother was made public that many people sat up and took notice of the situation. This image struck an emotional chord with everyone I know. I can’t imagine anyone not being both horrified and moved by it. Personally I felt an enormous amount of sadness and grief when I saw it - the young boy and his brother were similar ages to my own grandchildren. It’s hard for me to look at the photo and not think of them. As well as sadness I also felt incredibly lucky that my own family never had to face such hardships. When my wife Anita and I, immigrated to Australia with young children we were welcomed into the local community with open arms. My children were given every opportunity to succeed in their adopted home and so too will my grandchildren. Being given the chance to relocate to Australia and call this amazing place home has been one of the luckiest things to have ever happened to us. I’ve been thinking what our response, as the lucky country, should be. Surely we can’t just bomb the guilty. We must also help the innocent. In an ideal world everyone would have the right to live in safety, where their children have access to an education and where basic services that we take for granted in Australia are freely available. But just because it is not an ideal world, it doesn’t mean we should accept the fate of others and not do anything to create change. That is why I am so heartened by the Australian public’s outpouring of support towards the Syrian refugees, and so pleased to hear that the Australian Government yesterday announced it will resettle a further 12,000 refugees (on top of our existing commitments) fleeing the conflict in Syria, with the first to arrive before Christmas. There will be scores of Syrian families that Australia (and the world) may never be able to help. But for those lucky 12,000, their resettlement to this country will mean the world to them. And I for one am proud that I’ll soon be able to share the wealth of opportunities in this country with the newly arrived families from Syria.